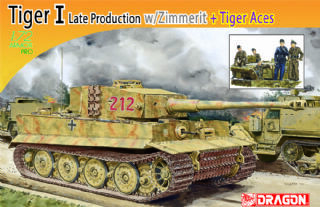 Dragon is able to offer 1/35 scale versions of all major variants within the popular Panzer III family, and now the 1/72 scale family is also being expanded. 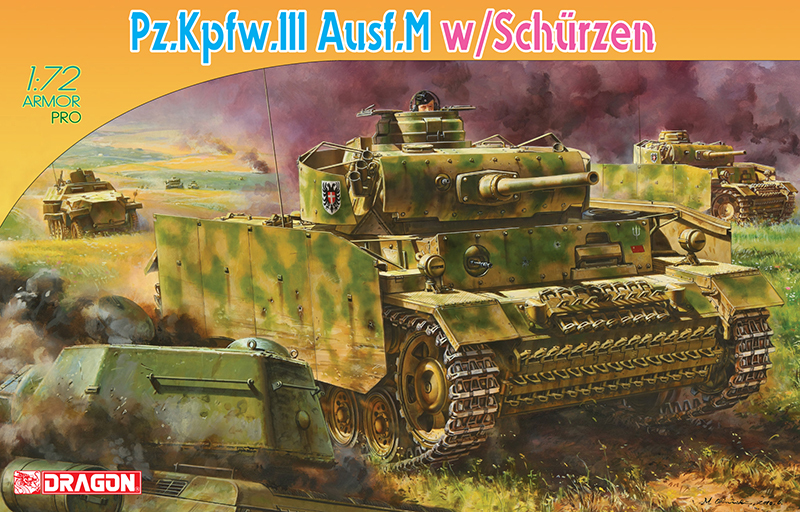 The latest 1/72 plastic model is the Panzer III Ausf.M. 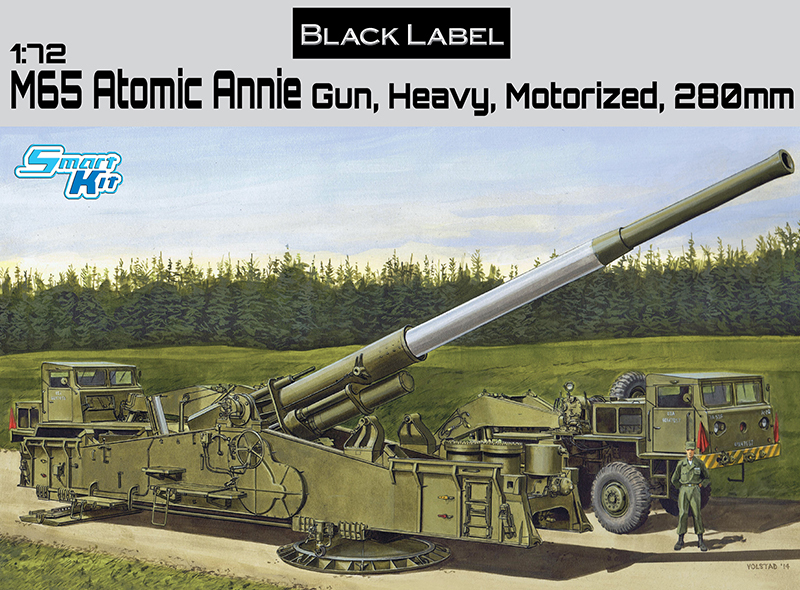 This tank version succeeded the Ausf.L, and it shared the same 5cm KwK39 L/60 main gun. 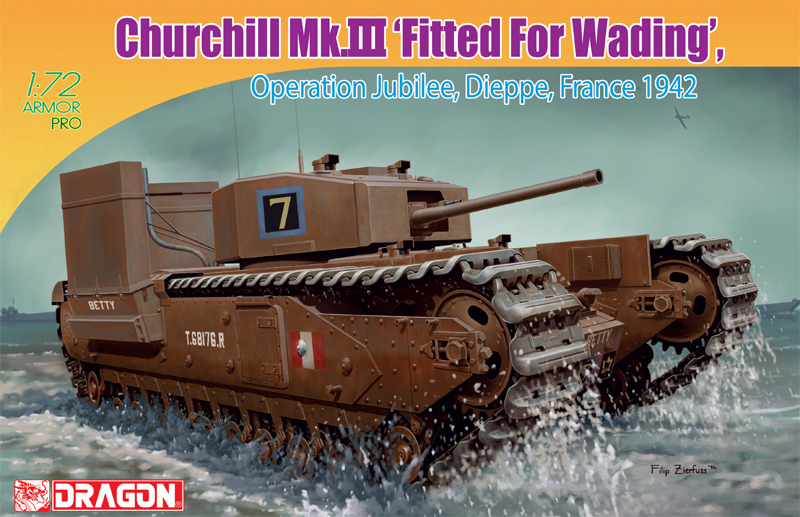 Among its modifications was a deep-wading muffler with a series of associated hatch seals that allowed fording of water obstacles up to a depth of 1.3m. 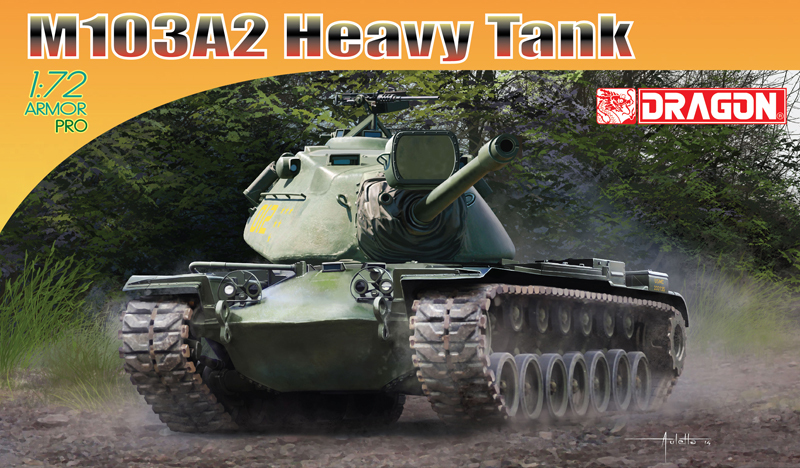 This performance represented a significant fording improvement over earlier Panzer IIIs. The hull-mounted smoke generators were also replaced with three 90mm NbK dischargers mounted either side of the turret. A total of 250 new Ausf.M tanks were produced from October 1942 to February 1943. 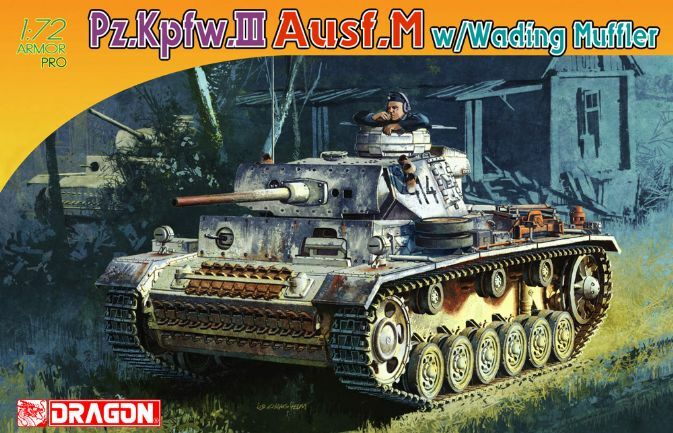 Inside the box bearing the Dragon logo lie all the necessary ingredients to create a spectacular Panzer III M with its deep-wading exhaust system. 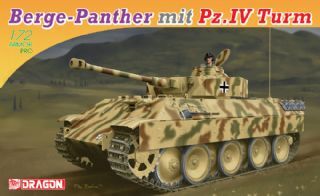 Benefiting from the precision achieved with the larger 1/35 scale version of the Panzer III M, the kit’s extremely well engineered and the parts separation is cleverly handled by the engineering team. In addition to the obviously new exhaust and muffler system, there are DS tracks and a set of photo-etched parts. 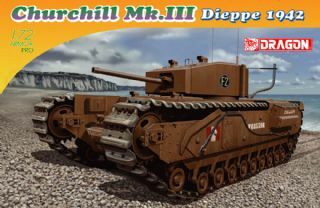 Cartograf has produced an excellent set of slide decals with different tactical markings so that modelers can select an appropriate unit. 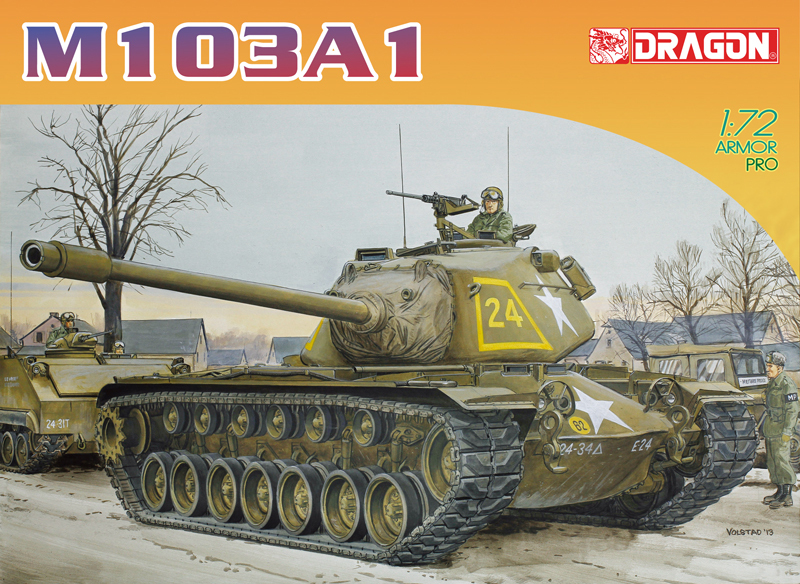 This stunning 1/72 plastic kit offers a perfect balance of accuracy and ease of assembly - the perfect project for modelers to wade into! 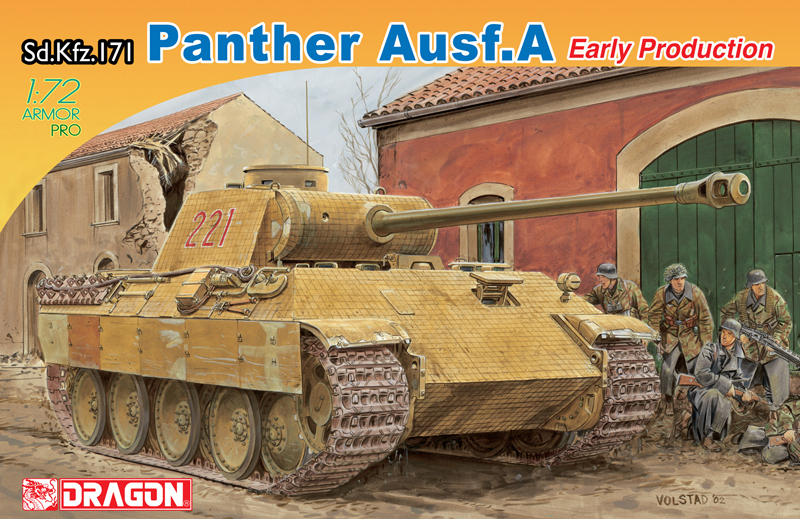 Dragon continues to expand their small scale range with this Panzer III Ausf.M offering. The Panzer III actually appeared about a year after the Panzer IV, and was initially intended to be the main tank of the four the German Army had at the time. However, developments occurred that led to the Panzer IV becoming the main tank...at least for a time...and the Panzer II was relegated to a secondary role at the beginning of 1943. This model represents the Panzer III Ausf.M, fitted with wading muffler, the main difference between this version and the preceding Ausf.L was this ability to wade deep water, along with the elimination of the side hull crew escape hatches, and changes to the exhaust system. Supplied in the standard Dragon box for this scale, the contents amount to a small number of light grey styrene sprues, two small photo-etched brass frets, two lengths of Dragon DS100 tan-coloured vinyl tracks, a small decal sheet, four sided instruction leaflet and small corrections slip. All parts are flash free, and sharply detailed. The lower hull is supplied as a one-piece slide-moulded shell, onto which firstly the various parts that go to make up the suspension and running gear are installed. The parts that go to make up these are fairly surprising. I am not that familiar with this scale, even though I've reviewed a few of them over the years, and I'm even less familiar with this scale from other manufacturers, but I still expect separate roadwheels at this scale to be somewhat unusual. No, there are no manufacturers' logo's on the tyre sidewalls...but I think that's forgivable at this scale! The detail is still incredible. Not only are we supplied with separate roadwheels, but also separate return rollers and separate suspension swing arms. Both the idler and drive sprockets are each supplied in two halves for better detail. The tracks, as mentioned above, are supplied in vinyl, which again at this scale I can fully understand, and at least the vinyl from this manufacturer can be cemented using ordinary styrene cement. Although they are shown on the instructions sheet, no mention is made of the locating marks for the lower hull escape hatches that are still present and will therefore need removing. 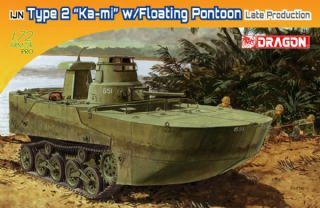 The rear hull wall is supplied as a separate part, onto which tiny idler adjustment housing are fixed, along with the multi-part wading muffler. Each of the two fenders is supplied almost complete. Complete that is, with moulded on tools. Although there are some parts provide as separate pieces, for example the jack, spare wheels etc. The only reason to produce it this way must be to keep costs to a minimum. Dragon have proved time and again that they have the skill and technology to provide tools etc., as separate items...even at this scale, and to have them moulded in place does limit the appeal to modellers that may want to use these models in dioramas etc. To remove them and give the appearance of empty brackets would be an extremely difficult task. Unfortunately, Dragon have taken this a step further even by moulding the stowed tow cable into place on the rear of the engine deck. Don't get me wrong...it's extremely well done, and the detail and scale are excellent...but the modeller's options are limited once again. 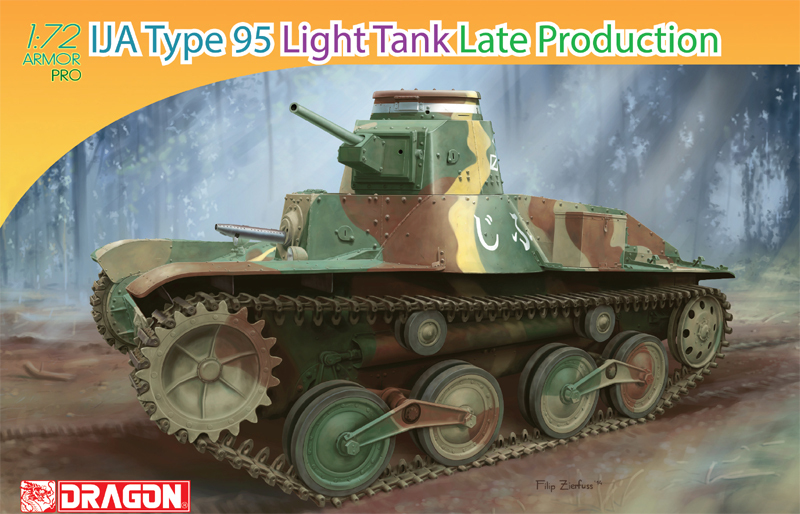 The turret is also provided as a slide-moulded shell, onto which various parts are fixed. For example, there's a separate mantlet plus extra armour, and the tiny gun barrel is produced as one part with a pre-drilled end. The commander's cupola is provided with two separate hatches which can be modelled opened, and tiny smoke grenade launchers. The rear turret bin is provided in two parts, the lid of which unfortunately, not being one of them! 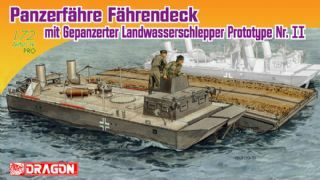 Markings on the instructions are for five schemes, one in winter whitewash, three in yellow and one panzer grey, marking for which are all supplied on the included decal sheet. See below for full details. A lovely little kit, notwithstanding the moulded on fender tools. If your thing is small scale you'll love it. If you're into the larger scales, you might still fancy having a go at one, and if you do, you'll enjoy it! Recommended!